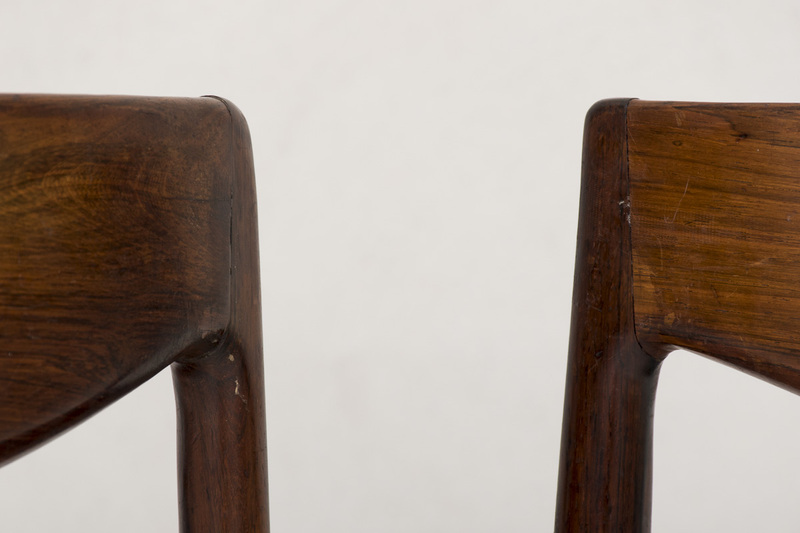 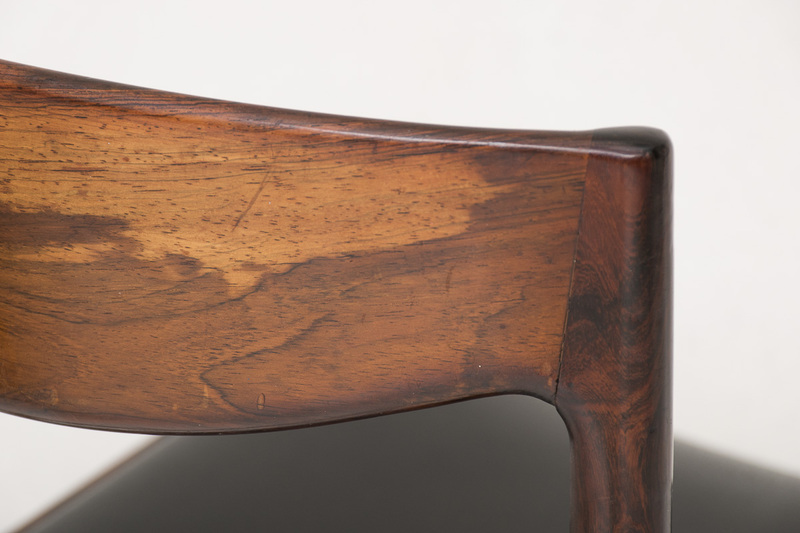 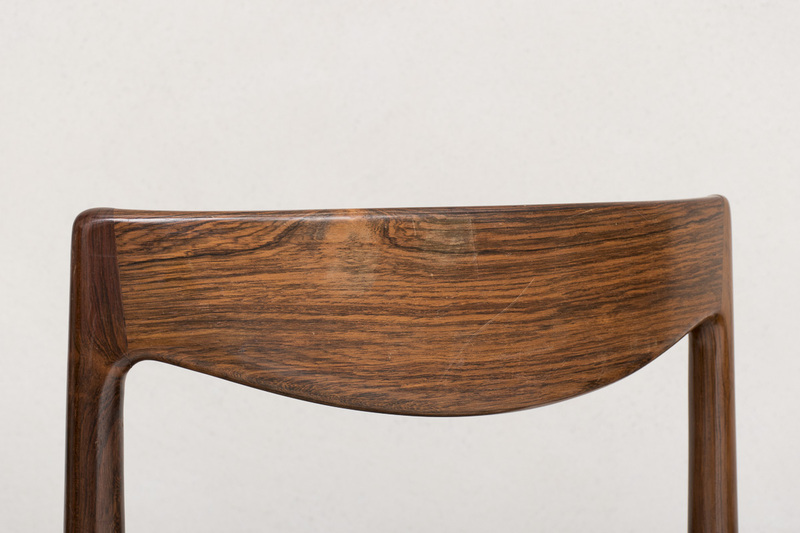 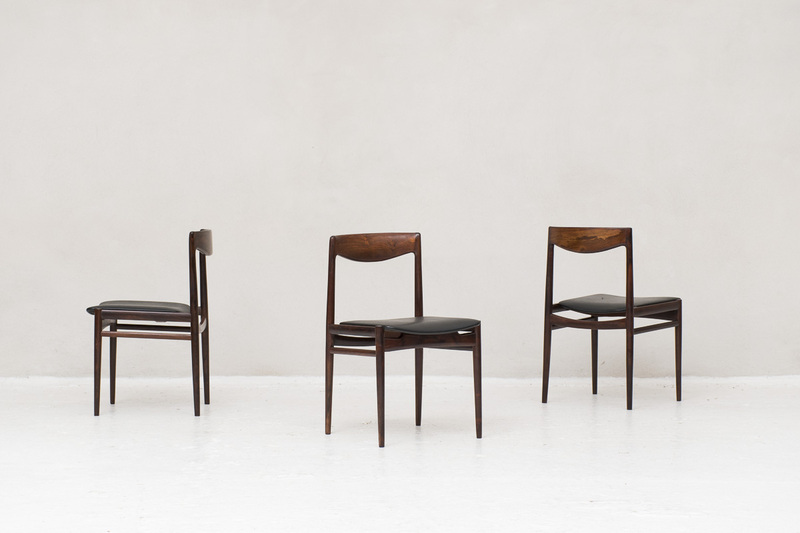 Dining chair set of 6 manufactured in Denmark in 1960. 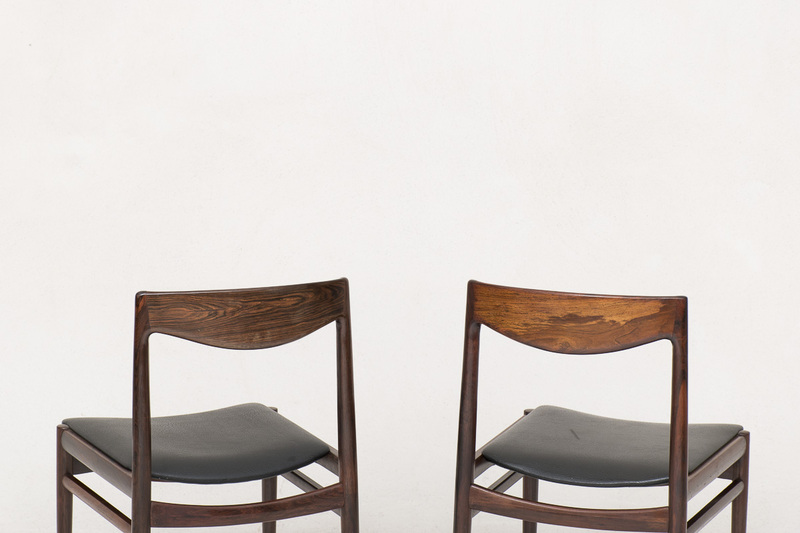 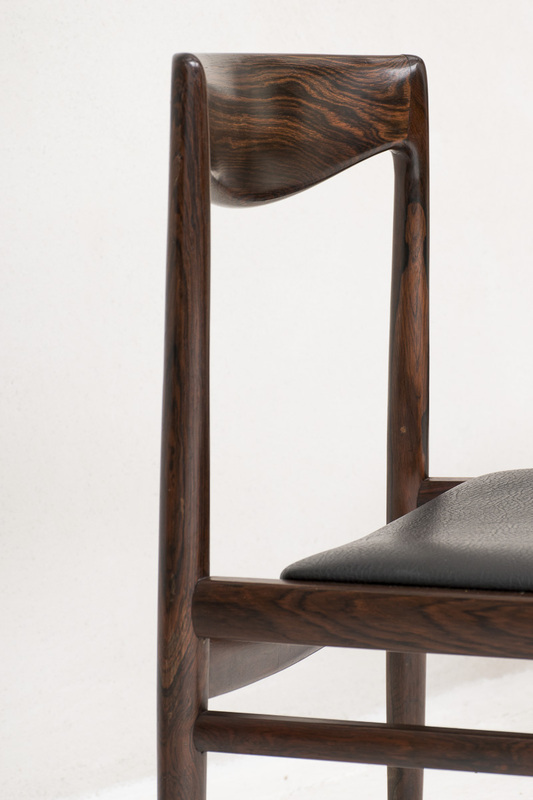 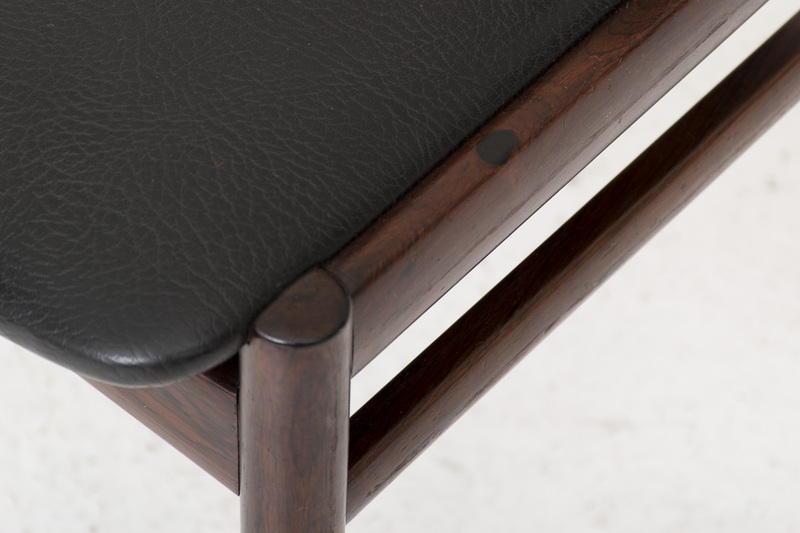 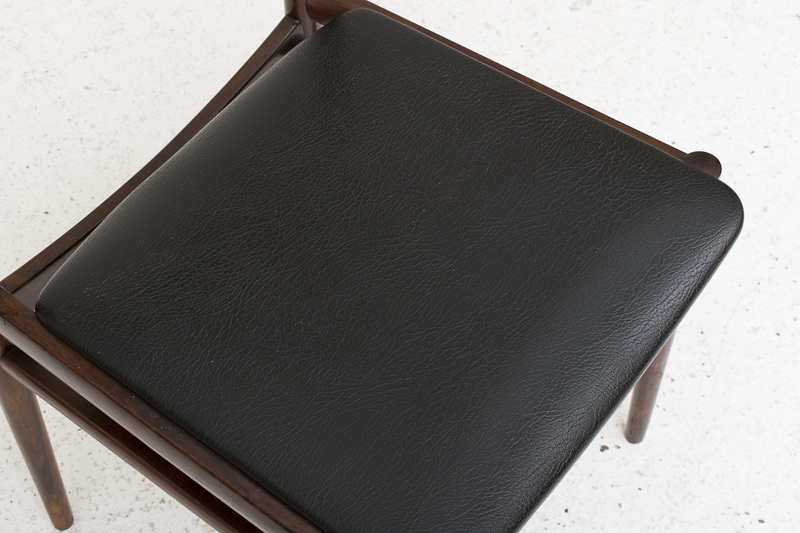 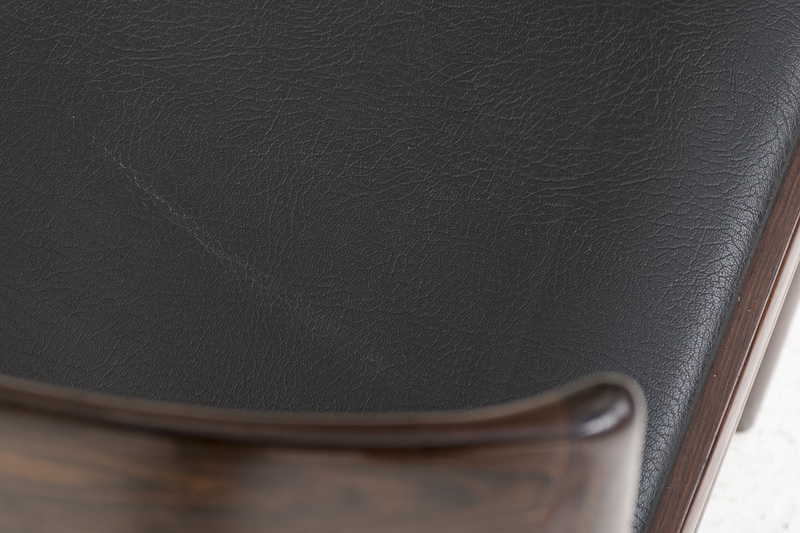 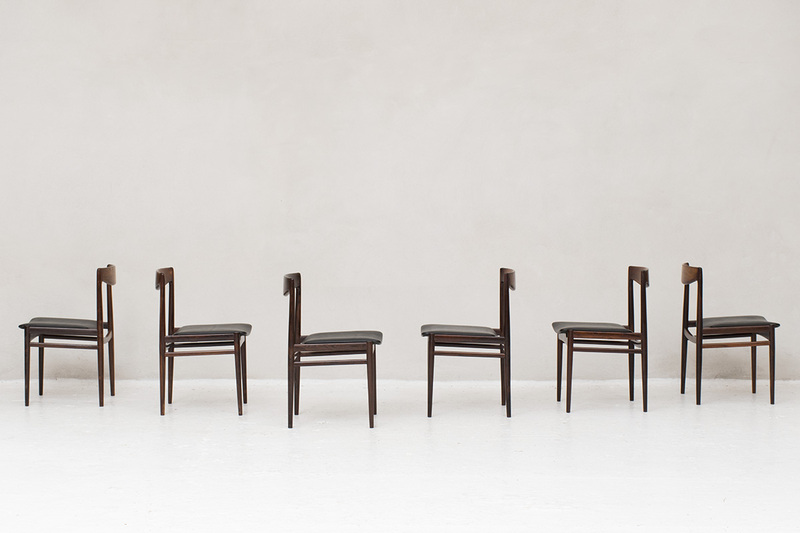 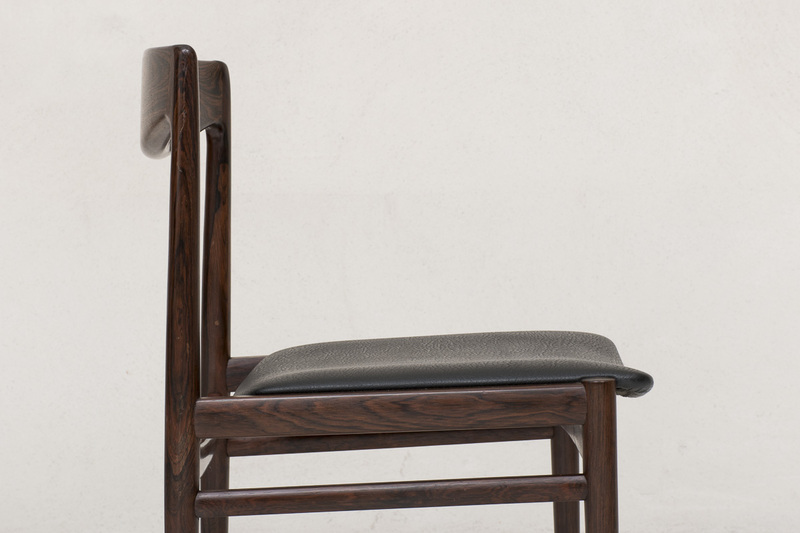 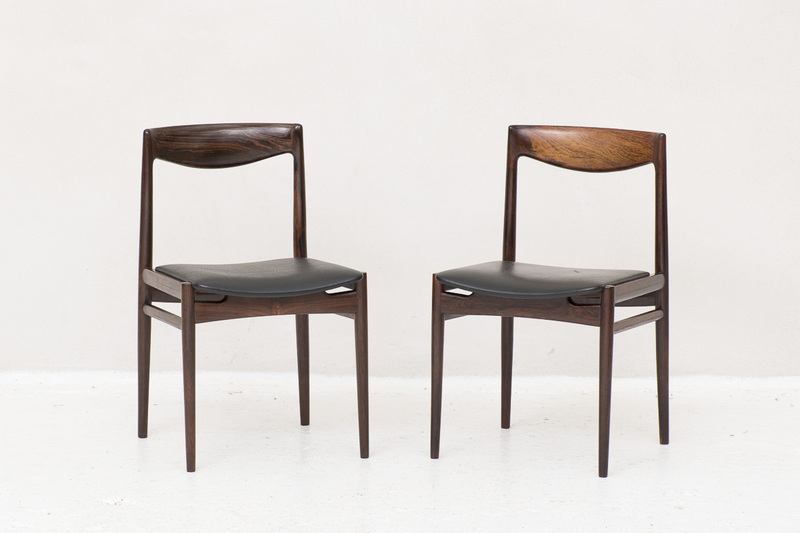 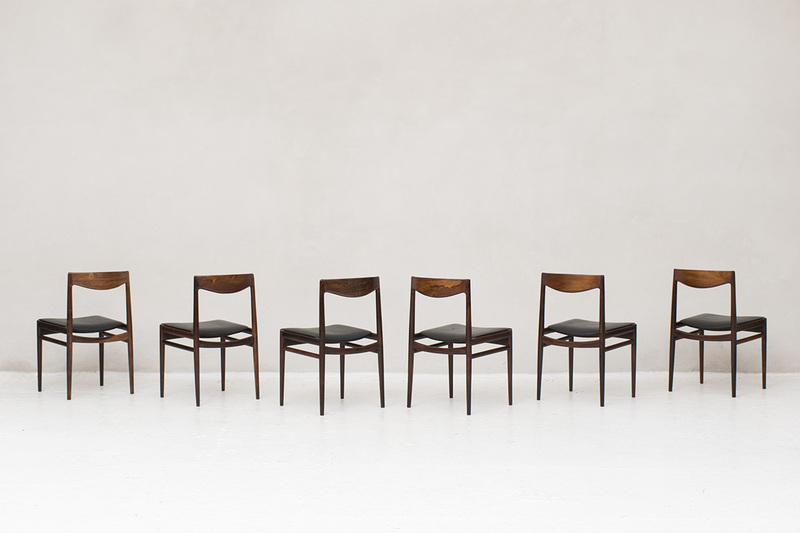 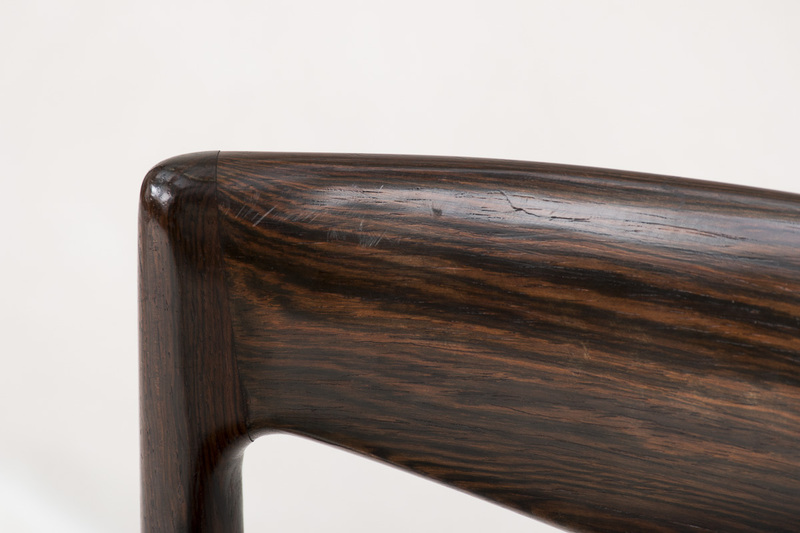 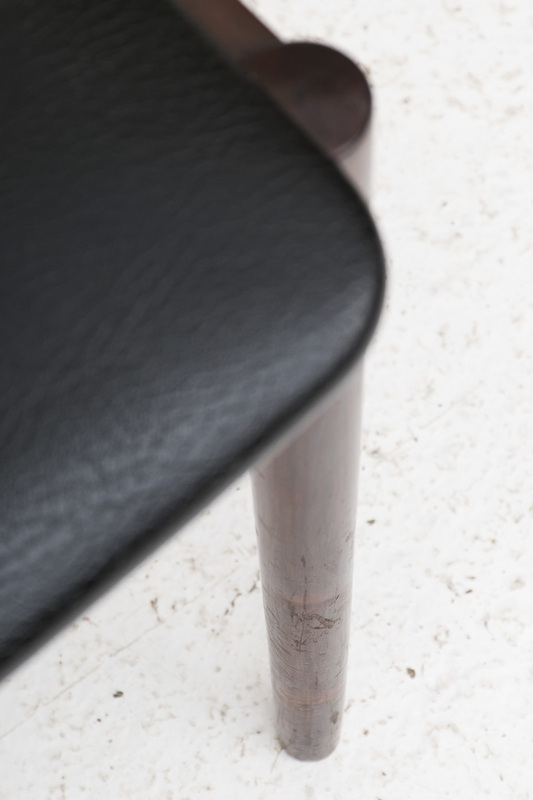 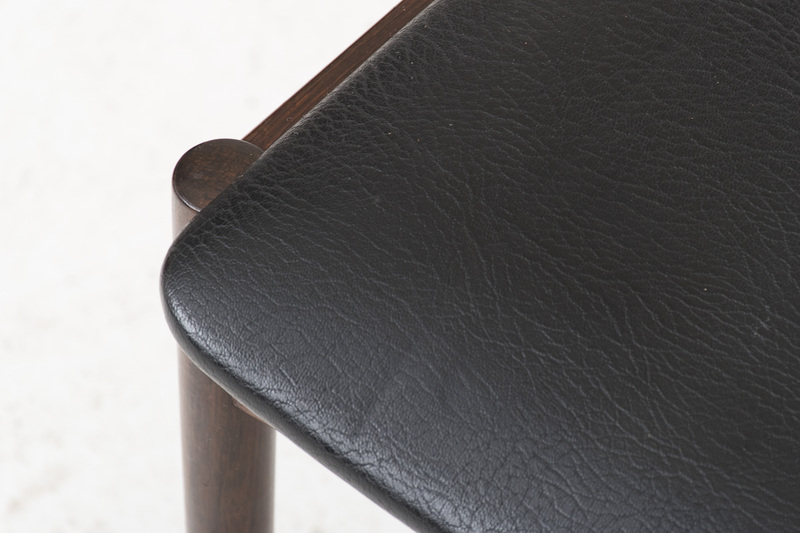 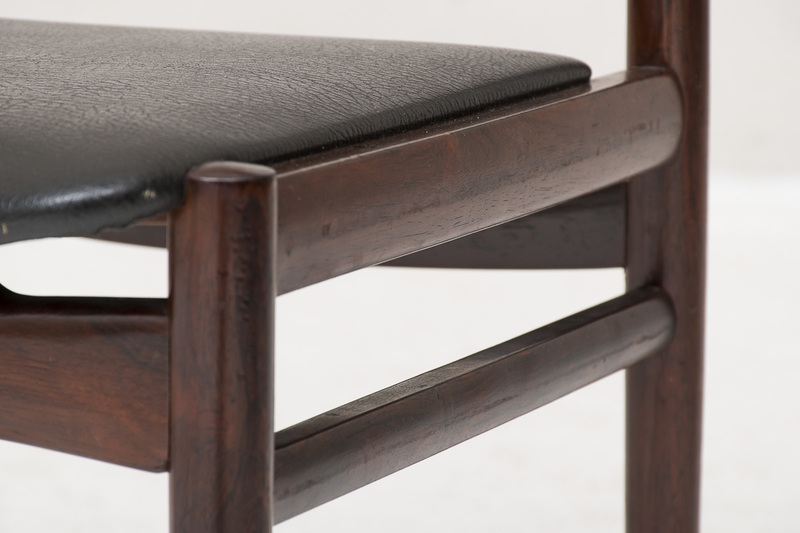 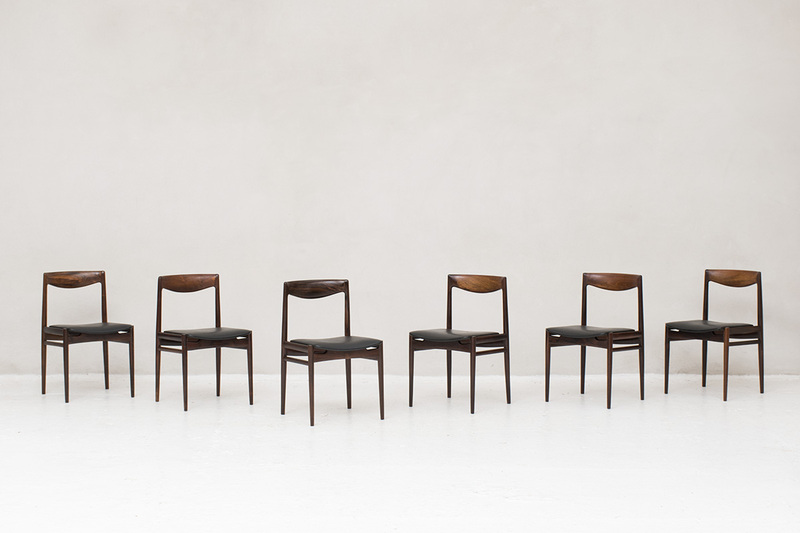 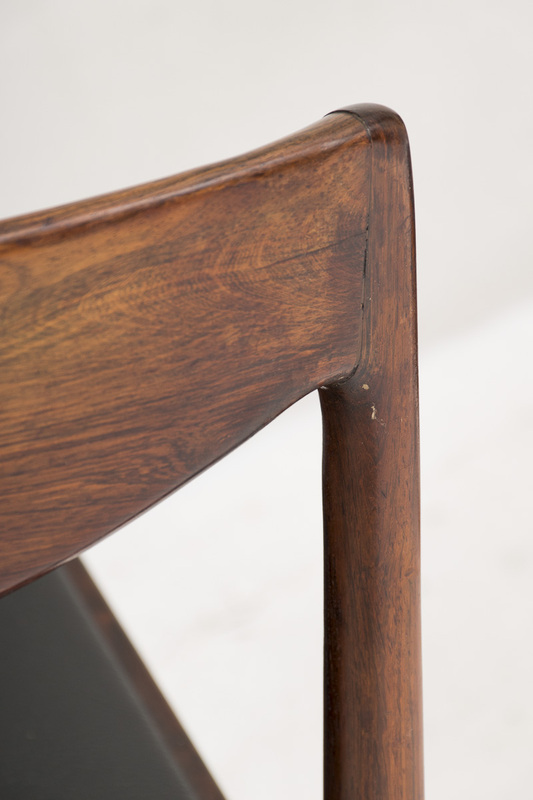 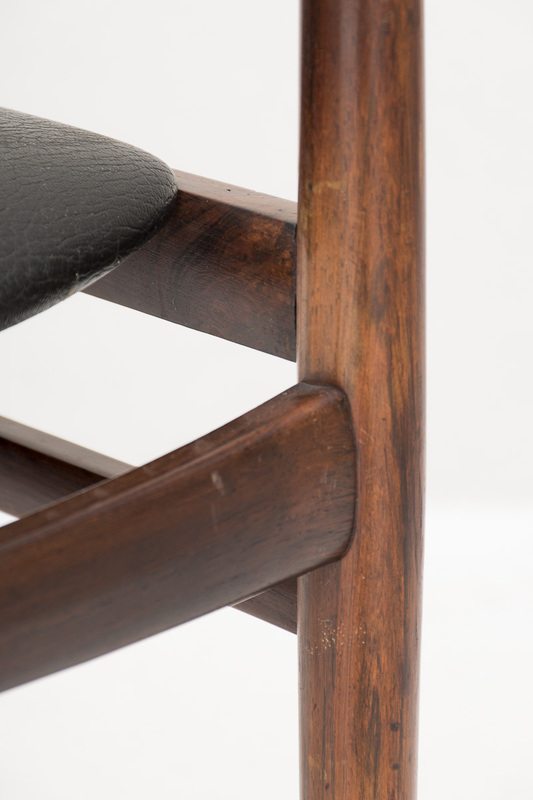 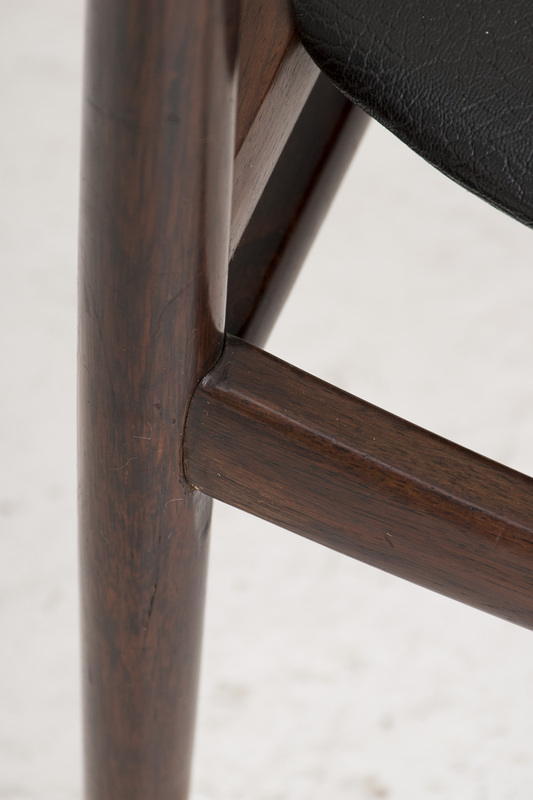 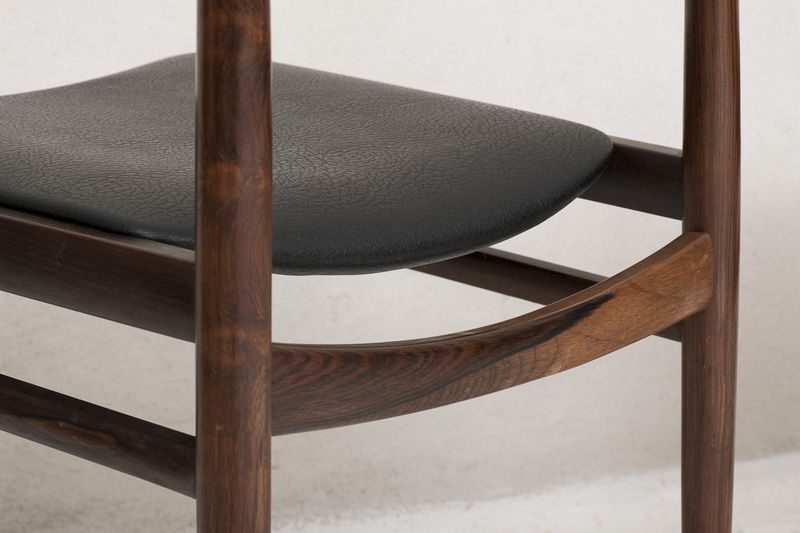 These rosewood chairs feature slim legs, minimal back rests and black skai seating. 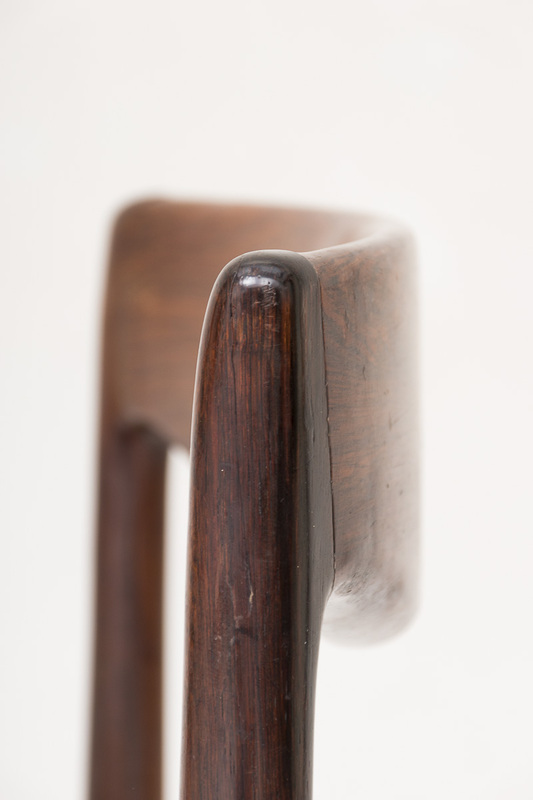 Some light wear from a previous life.